A MAJOR SEVEN-PART BBC TV SERIES. OVER 1 MILLION COPIES SOLD Two magicians shall appear in England. The first shall fear me; the second shall long to behold me ... The year is 1806. England is beleaguered by the long war with Napoleon, and centuries have passed since practical magicians faded into the nation's past. But scholars of this glorious history discover that one remains: the reclusive Mr Norrell whose displays of magic send a thrill through the country. Proceeding to London, he raises a beautiful woman from the dead and summons an army of ghostly ships to terrify the French. 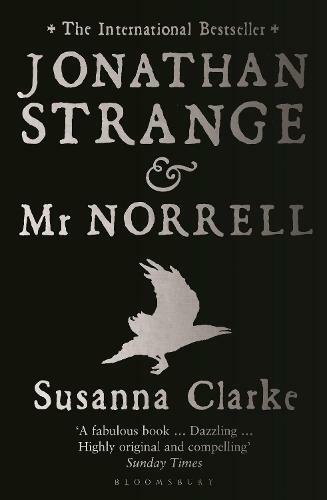 Yet the cautious, fussy Norrell is challenged by the emergence of another magician: the brilliant novice Jonathan Strange. Young, handsome and daring, Strange is the very opposite of Norrell. So begins a dangerous battle between these two great men which overwhelms the one between England and France. And their own obsessions and secret dabblings with the dark arts are going to cause more trouble than they can imagine.